PotashCorp Picadilly mine in Penobsquis, New Brunswick. Canada's largest potash producer is cutting its dividend by 34 per cent in response to weaker sales volumes and lower global fertilizer prices. 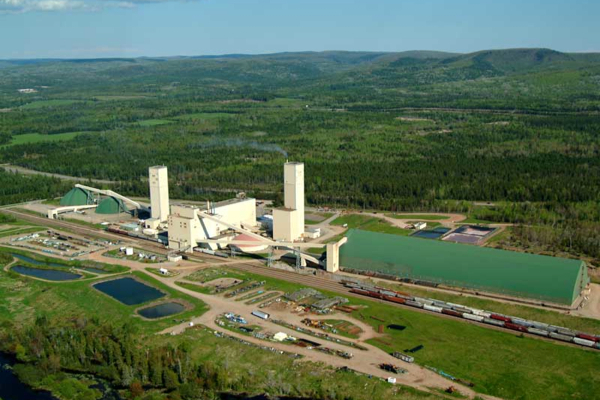 The announcement was included with the latest financial report from Potash Corporation of Saskatchewan (TSX:POT), which saw its fourth-quarter profit cut in half as a result of weak market conditions. The Saskatoon-based company's net income, reported in U.S. dollars, dropped to $201 million or 24 cents per share from $407 million or 49 cents per share in the fourth quarter of 2014. The value of its sales dropped to US$1.35 billion in the fourth quarter of 2015 from US$1.9 billion a year earlier.